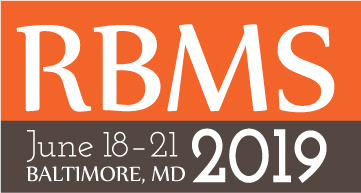 We’re fortunate this year that the RBMS reception will be held at the George Peabody Library in Baltimore’s historic Mount Vernon neighborhood. 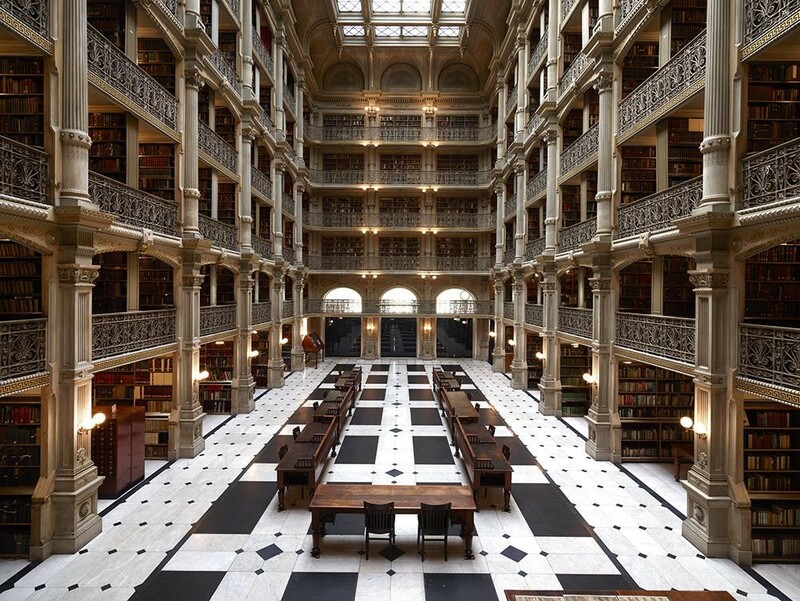 The Peabody Library was built in the mid-19th century, and is widely regarded as one of the most beautiful library spaces in the United States. You can take a 360 degree tour of the library. Although there will be the option to take a bus to the reception, the conference sustainability subcommittee invites you to join us in walking. The distance between the Baltimore Marriott in the inner harbour and the Peabody Library is about one mile, and for those for whom walking a mile is an option, it’s a great way to stretch your legs after a couple days of sitting in seminars and panels, chat with colleagues, and see some of what Baltimore has to offer. It will also provide us with the opportunity as a group to cut down on contributing to air pollution in the city by reducing the number of buses required to transport us to our wine and cheese! Other options include trying out Baltimore’s free Charm City Circulator or the Light RailLink for a round-trip cost of about $3.60. Join me in a quick preview of some of the sights you can expect to see as we walk from the harbor up through downtown and into Mount Vernon. 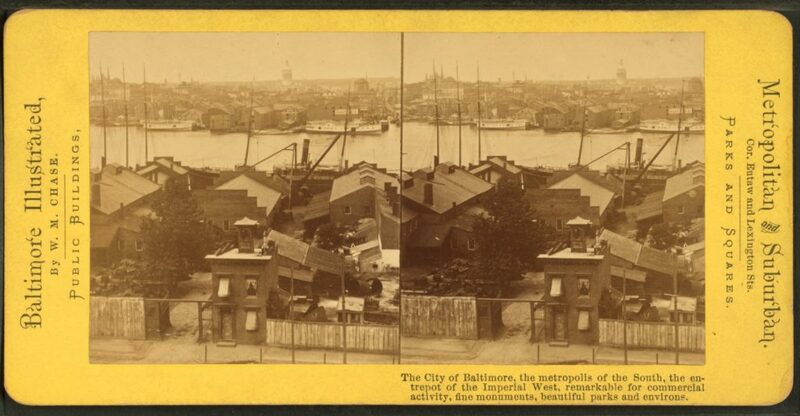 The Inner Harbor neighborhood, where we will begin, is one of the busiest tourist destinations in the city, especially in the summer. It’s highly walkable, with lots of shops, restaurants, and attractions, such as the highly-rated National Aquarium, the Reginald F. Lewis Museum of Maryland African American History & Culture , visiting historic ships docked in Baltimore Harbor (one of the oldest seaports in the country), or just taking in one of the best views of the Baltimore city skyline from Federal Hill, a park that served as a military outlook during the war of 1812. Corner of Eutaw and Lexington Sts. Scan by NYPL -https://digitalcollections.nypl.org/items/510d47e0-67e6-a3d9-e040-e00a18064a99, Public Domain, https://commons.wikimedia.org/w/index.php?curid=49483943. Walking up North Liberty Street, Howard Street, or Charles Street, we’ll move through the city center, the main business district. 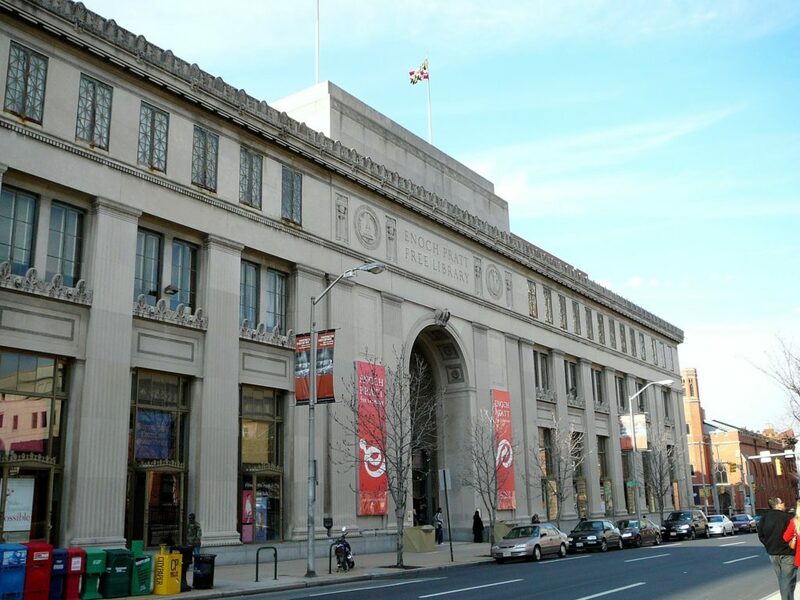 Once we cross over Mulberry Street to the north, we can walk by buildings such as the Enoch Pratt Free Library, the Walters Art Museum, or the Baltimore Basilica. Here we’ll enter the Mount Vernon neighborhood, a National Landmark Historic District. 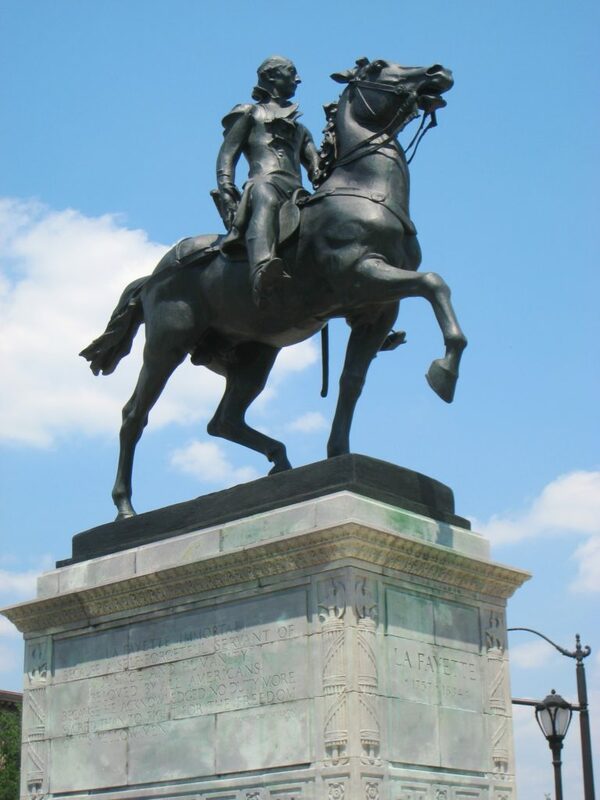 We’ll proceed directly to Washington Place, which includes Baltimore’s Washington Monument and a statue commemorating the Marquis de Lafayette. In addition to multiple cultural heritage institutions, Mount Vernon also has a high density of restaurants, coffee shops, and bars–great options for continued conversation and socializing following the reception. You could even take some time to pop over to Greene Street and visit Edgar Allen Poe’s gravesite. In addition to multiple cultural heritage institutions, Mount Vernon also has a high density of restaurants, coffee shops, and bars–great options for continued conversation and socialisation following the reception. You could even take some time to pop over to Greene Street and visit Edgar Allen Poe’s gravesite. We hope you’ll join us for a stroll with colleagues and friends through one of the best cities in the U.S.!